If you have a moment to just sit back and enjoy a fun podcast, well then we have an episode for you. As a first for me with HumorOutcasts.com I recently interviewed two authors together in one interview, each with their own separate books, in order to give them an opportunity to contrast ideas and to react to one another. It was a fun time! 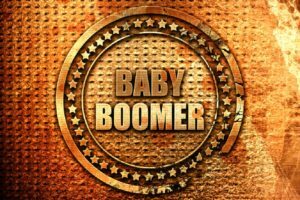 My guests were Molly Stevens who is the author of, “Boomer on the Ledge” and Perry Block who is the author of “Nouveau Old, Formerly Cute.” The central topic of the program is “Baby Boomers” and how the youth generation of the 1960s fits into contemporary society. I found Molly to have a calm and analytic sensibility and Perry to have a nervous energy supercharged with a dry-wit delivery. The overall combination of these personalities as we covered any number of societal subjects was very entertaining and enlightening. 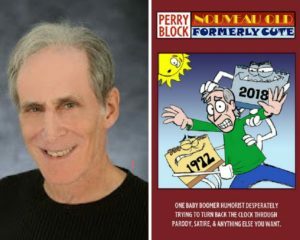 You can find Molly’s and Perry’s past individual podcast interviews here on HumorOutcasts.com under the podcast tab located at the upper right of the site. Billy Dees enjoys science, news, and pop culture and is always ready for a great conversation. Billy Dees writes editorials and does commentary on various online and traditional media platforms under the self-titled Billy Dees persona. As a digital media producer Billy helps other people, organizations, and businesses produce digital content for their websites, social media, and other online sales/marketing strategies. 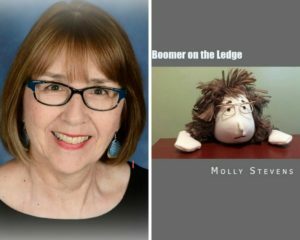 One Response to HOPress HumorOutcasts Radio – Interview with Molly Stevens and Perry Block About Baby Boomers! This was a fun interview! Perry and I found out we have more common ground than we thought we did. And I found my inner pessimist! haha!